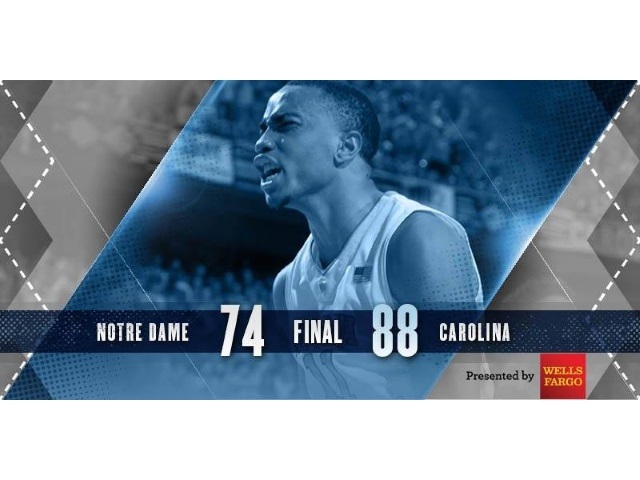 The University of North Carolina dominated the Final Four teams in the 2016 NCAA Men’s Division I Basketball Championship tournament in terms of social buzz, but an eliminated team carved out a chunk for itself, as well. Although eliminated, Duke University accounted for 25 percent of online conversations about the 64 teams in this year’s tournament, largely due to the controversy over the discussion between Duke head coach Mike Krzyzewski and University of Oregon forward Dillon Brooks. North Carolina was the topic of 47 percent of total organic conversation generated by the Final Four teams. Oklahoma generated the most Facebook engagement, but the top post by a Final Four team was this photo after Villanova upset the University of Kansas. North Carolina was responsible for the top three Instagram posts: Nos. 1, 2 and 3. Honors for the top tweet went to Syracuse. Readers: Which Final Four team will hoist the trophy Monday night? Image atop this post courtesy of North Carolina Tar Heels Facebook page.